While Asian carp, the invasive fish making their way towards the Great Lakes, are a popular food in several countries, they haven’t completely taken hold here. But that may change if proprietors like Dirk Fucik in Chicago have their way. “Highly invasive Asian carp are advancing on the Great Lakes, so fire up your grill. Asian carp are eaten and appreciated globally, but the fish have never been popular in America because they’re bony and are thought to be bottom-feeders (actually, you can tell your pesca-prejudiced pals, Asian carp are plankton-feeders.) Nevertheless, Asian carp burgers at Dirk’s Fish & Gourmet Shop have been well-received. ’90 percent of the people who try it like it,’ Dirk Fucik says. At Taste of Chicago one year, Fucik gave out 800 carp burgers in two hours. 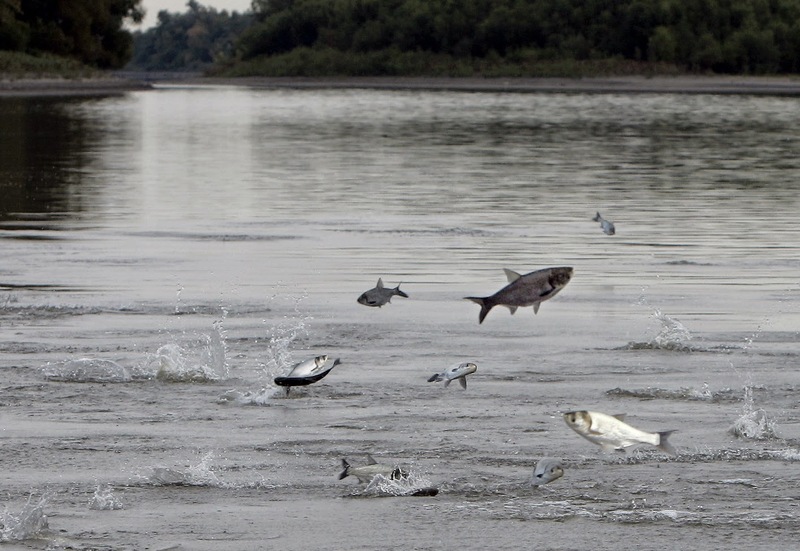 Read more at the link above, and visit our webpage for previous articles on eating Asian carp.